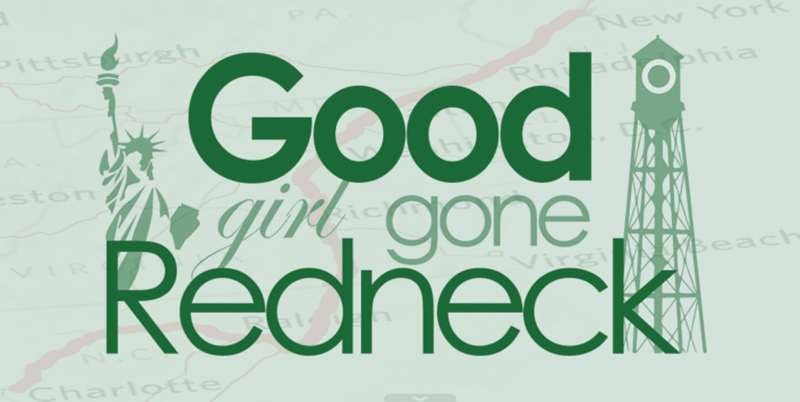 Good Girl Gone Redneck: Lace up and Join Marathon Kids This Summer! 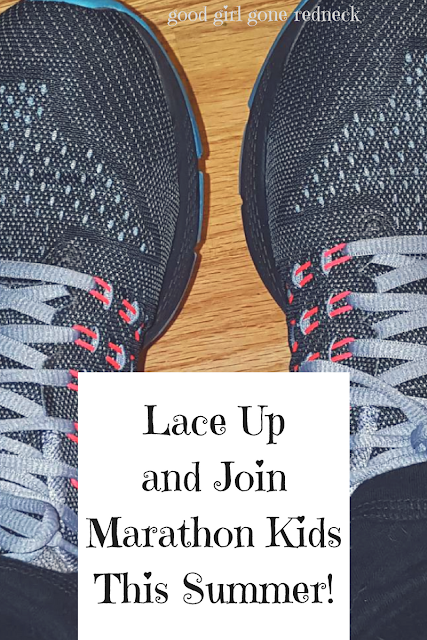 Lace up and Join Marathon Kids This Summer! This is a sponsored post in partnership with Marathon Kids. My daughter and I are no strangers to walking around our neighborhood. Although lately she's more inclined to hop on her scooter while I walk behind, trying to catch up. I'd like to change that, and I'm hopeful that this summer could be the time that we do. Evenings in North Carolina are often hot and sticky. And I know, it's kind of like that everywhere right now. But, some days you find the cooler temps taking hold and that that's the best time of the day to get out and MOVE. 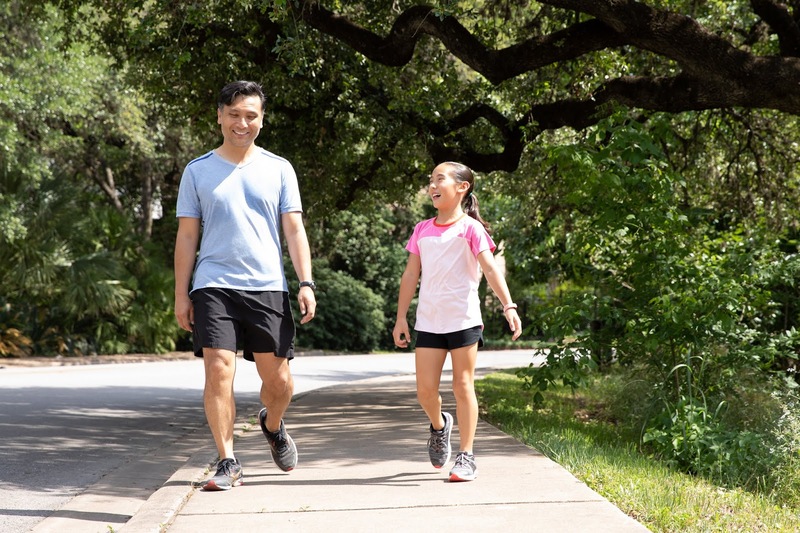 I'm partnering with Marathon Kids this summer to help encourage moms and dads everywhere to engage our children in participating in their FREE Summer Walk and Talk Challenge. This free challenge is a great way to not only get your kids moving, but to get them talking. And talking to YOU! 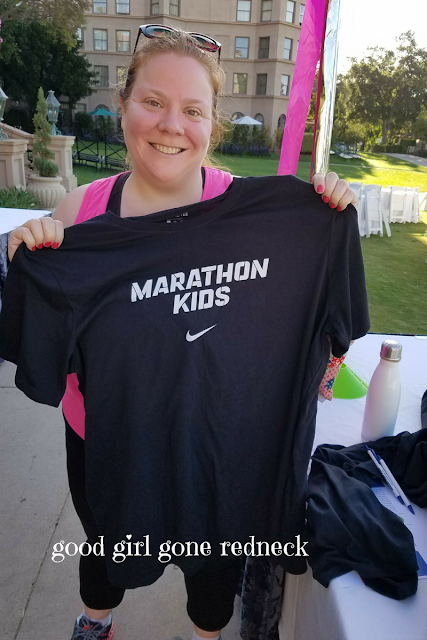 I met the Marathon Kids team at Mom 2.0 Conference in May when I participated in their super early morning event of what ended up being a very long walk, although it wasn't supposed to be quite as long as it was. But that's what happens when you walk and talk. You start sharing all the things annnnnd, maybe you get a little bit off track or lost - you do, not me. Of course not me! But look, don't I look happy that I finished? And I felt really good, too. Across the country our teachers are finding that social-emotional learning tools (SEL) are helping children engage differently than they have before. With outcomes like improvement in attitude, increased kindness, sharing and empathy, and fewer instances of depression and stress, these SEL methods are working. 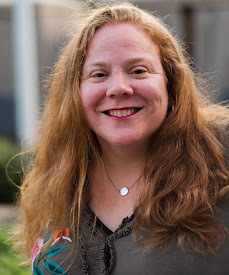 Marathon Kids has teamed up with the TODAY Parenting Team in this effort to use SEL to establish better connections with our kids, and I'm thrilled to support them! 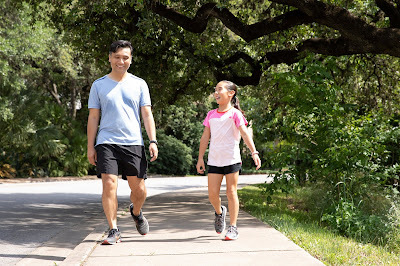 I love the idea of chatting with your kids while getting out there and hope you'll join me in finding the time this summer to walk a marathon and get to know your child(ren) better. So, head on over and register today. 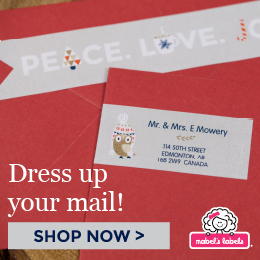 Once you sign up you'll receive access to two important resources. 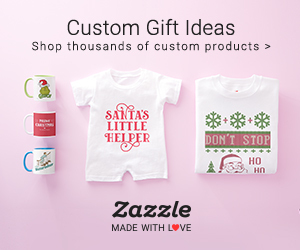 You'll get the special mileage log so you and your kids can track your progress, AND you'll receive a link to a set of conversation starters for you and the family to talk about while tackling each mile. There are 26 in all, just enough to cover an entire marathon! As parents we know that our kids need people to listen to them, just as much as we do. This challenge is a way to ensure that our children feel heard and recognize that their opinions matter. To find out more about Marathon Kids and the numerous programs they offer check them out at MarathonKids.org.